It is the fundamental philosophy of Christ the Healer that evangelization is at its best when assistance is offered within the context of interpersonal relationships between missionaries and those, to whom they are missioned. The style and approach of Christ the Healer differs from that of many other programs. While some programs judge the success of their efforts in terms of "numbers assisted", the primary concern of Christ the Healer is that of providing assistance by establishing relationships and enhancing skills and capacity for self-reliant and sustainable care. "If you give a person a fish, you feed that person for a day ... you teach that person to fish, you feed that person for a lifetime." Christ the Healer works with this hope and purpose in mind. With capacity development, the concern is that of enhancing skills and developing potential. 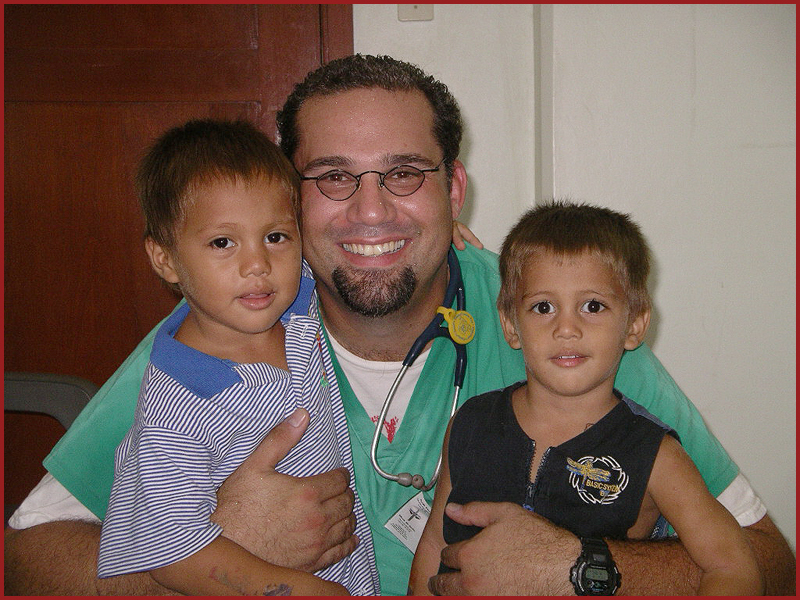 For Christ the Healer, this is accomplished practically by pairing our missionaries with Nicaraguan counterparts so that each can observe, assist, and teach upon request. By assisting the Nicaraguan health care staff in developing their current resources to the highest potential, we assist them in offering more complete services to their people. With sustainability, the concern is that of ensuring a lasting capacity for development. Christ the Healer assists the existing health care structure in such a manner as to prevent placing undue stress upon the current system, especially in the form of duplication or fragmentation of efforts. Part of sustainability is ensuring that equipment and necessary supplies are not only provided, but properly used and maintained, as well. As such, Christ the Healer assesses needs, provides materials, and ensures proper distribution and use. Thus, the success of Christ the Healer is not determined by the number of surgeries performed, but by the amount of assistance that is provided to our Nicaraguan counterparts in helping them develop and sustain better services for their people. This hospital has brought a new level of technology to Granada. The following departments and units now available are: Surgery, Adult ICU, Pediatric ICU, Labor and Delivery, Male Med-Surg. Unit, Female Med-Surg.Unit, Pharmacy, Laboratory, and Radiology. In addition to in-patient beds, there are out-patient clinics in the hospital serving a number of different specialties. The hospital is staffed comparable to the United States. 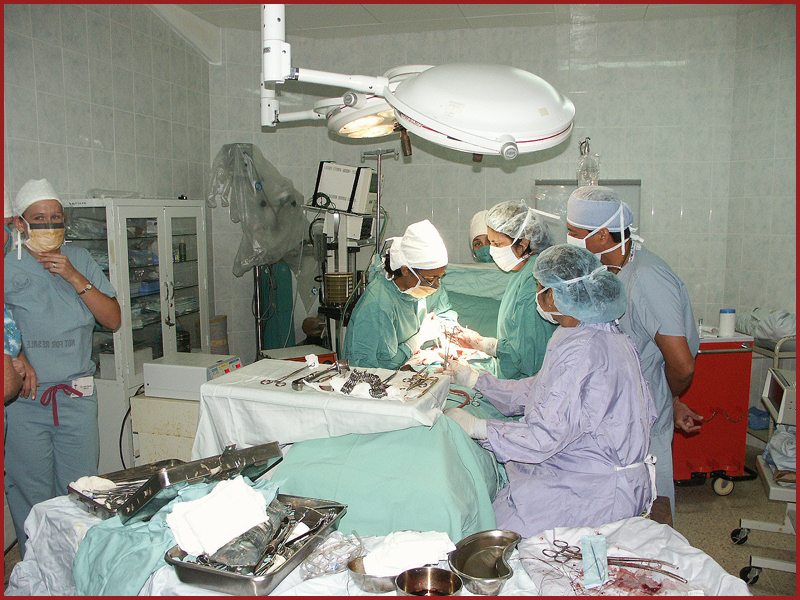 Hospital personnel include: Physicians and Surgeons in many specialities, and Medical Students. Professional Nurses (similar to our RN), Auxiliary Nurses (similar to an LPN), Surgical, Anesthesia, Laboratory, and Radiology Technicians. A pathologist is available through a cooperative agreement with Cuba. Basic laboratory tests and pre-op cannot be performed routinely due to the lack of consistent operating equipment and supplies. These include electrolyte analysis, hematology, cytology, bacteriology, and some pathology. Physicians and Surgeons are asked to use discretion when ordering tests as not to overwhelm their system or cause the patients undue financial burden. There are four Omeda anesthesia machines with automatic ventilators, a cardiac monitor, an oximeter sensor and temperature. Two older machines (Ohio) are currently being used in the recovery room. It would be useful to bring, for general anesthesia, all disposable products (endotrachael tubes, suction tubing, yankaurs, circuits, gloves, masks, caps, shoe covers etc) as well as a selection of unexpired anesthetic drugs. (No narcotics or controlled substances). The anesthesiologists at the hospital are up to date on the latest products and procedures, but the supplies are generally unavailable to them. There are four operating rooms located adjacent to the out patient department. The operating rooms have a good air-conditioning system - on occasion. Next to the operating rooms, there is a sterile supply area where clean equipment is prepared for the digital-autoclave. The autoclave, and many other pieces of sensitive equipment malfunction due to the hard water and high concentration of calcium and other minerals. A water filtering system is being installed in this area. Please bring your own gloves, scrubs, caps, shoe covers, and sutures.